All Sessions By Appointment Only! Distance Tele-Coaching and Tele-Hypnotherapy sessions are done by Telephone, Zoom, or Skype. In-Person sessions can be arranged if client resides in the Phoenix, Arizona area. Welcome! Love, Light, and Many BLessings to you! Hi and welcome to my online page! I am a Habit Change Consultant, Life Transformation Coach, Transpersonal Hypnotherapist, Motivational Speaker, Writer, and more. Through a variety of healing arts processes I can help you weave the Mind-Body-Spirit Connection into your life! Transformation Coaching, Hypnotherapy, Toe Readings, and even Oracle Card Readings, are designed for Real Life Living! Have you factored yourself into the equation of your life? Isn't it time to Own Your Life Now? My vision statement is simple: "Helping You Reclaim the Divine Spark of Your Life by Creating a Signature Experience That Gets People Talking". TM Let's start those conversations! What do you want your life "signature" to look like? Create it now! What's stopping you from defining your life possibilities and stepping into your greatness? The time is right for you to take the steps forward with inspired action to fully connect to your life! Why wait? Make the investment in Your Life and Discover Your Awesome Divine Spark! 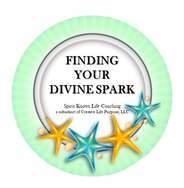 We are all made of a Spirit Essence, or Energy, so I named this business FINDING YOUR DIVINE SPARK, a subsidiary of Creative Life Purpose, LLC. The concept came into existence to honor and align with the path of helping others learn how to connect with their true inner guidance, or essence, through the process of Life Coaching, Hypnotherapy, and other uniquely amazing healing arts modalities. Being able to reclaim your Divine Spark helps to heal the Mind-Body-Spirit connections that tends to get lost in the shuffle of our busy day-to-day living. Life Coaching is about unfolding your possibilities, dreaming bigger, living more boldly, and being your authentic self. I have been entrusted and guided with the art of serving mankind in an uplifting manner, and through my Life Coaching and Hypnotherapy practice, I am able to provide specific coaching tools and methods that can help you reconnect and enhance your growth potential, shine light upon your unique and special spirit-given gifts, and allow you to embrace your life journey from a brand new perspective, one that fulfills your soul purpose. My other businesses are Spirit Knows Life Coaching and Talking With Toes and parent company business co-founded with my husband, Creative Life Purpose. ALL SESSIONS OFFERED ARE BY APPOINTMENT ONLY! Tele-Coaching and Hypnotherapy sessions are done "virtually" by Telephone, Zoom, or Skype. In-person sessions can be arranged if client resides in Phoenix, Arizona.